Who has been recently appointed as the new Chairman of Karnataka Vikas Grameena Bank (KVGB), a Dharwad-headquartered regional rural bank ? According to recent reports, India is home to 2,226 tigers, representing __________ % of the global tiger population. Recently, Italian officials and financial institutions have formally agreed to set up a €5 billion fund, to help stressed banks unload bad loans and raise capital. Name it ? Today (29th April) is International Dance Day / World Dance Day. The day was introduced in 1982 by the International Dance Committee of the UNESCO International Theatre Institute. The date was chosen to commemorate the birthday of Jean-Georges Noverre, who was born in 1727, a French dancer and ballet master and a great reformer of dance. 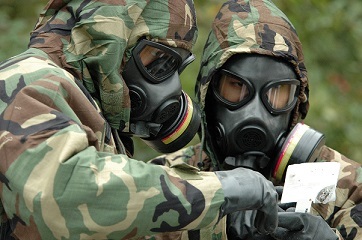 Today is the "Day of Remembrance for all Victims of Chemical Warfare". This day is officially recognised by the United Nations (UN) and has been celebrated since 2005. Myanmar has banned all logging operations in the country's forests as part of its efforts to tackle deforestation. Myanmar had earlier banned the export of raw timber logs in 2014 to boost its own production and slow deforestation. Myanmar Forest Ministry data has revealed that the country's forest cover fell to 47% in 2010 from 58% in 1990. Belgium's Health minister Maggie De Block has revealed plans to distribute anti-radiation iodine pills to 11 million Belgian citizens in case of nuclear accidents. Recently, Belgium's Tihange 2 and Doel 3 reactors resumed service after being shut following signs of metal degradation. The US Congress has formally invited Prime Minister Narendra Modi to address a joint session of the Congress on June 8, during his visit to the country. India extended a Line of Credit (LoC) of 1 billion US dollars to Mongolia. The LoC was extended after delegation-level bilateral talks between the Minister of State for External Affairs VK Singh and Mongolian Foreign Minister Lundeg Purevsuren in New Delhi. The two countries also agreed to exchange sentenced persons. Lundeg Purevsuren was on a three-day state visit to India from 27 April to 29 April 2016. This visit was a part of the intensified bilateral exchanges following the upgrade of bilateral relations during Modi's visit. I am Saikiran,one of the silent readers of Gr8ambitionz. I have been selected as clerk in Andhra bank.My hearty congratulations to all selected candidates.We all know success is not destination it's a journey.Most of the banks may give joining in june. So we have atleast 1-2 months,we have to utilize the time effectively.If you choose banking as your career I would recommend the following. Today (28th April) is Workers' Memorial Day / World Day for Safety and Health at Work. This is an international day of remembrance and action for workers killed, disabled, injured or made unwell by their work. The United States has announced more than $86 million in additional aid to South Sudan. The new funding is to provide safe drinking water, emergency healthcare, food, shelter and training to the most vulnerable families and communities. Note : The US also warned that South Sudan's failure to implement a peace deal could result in sanctions or an arms embargo. Pakistan and China have launched production of a new variant of the JF-17B multi-role combat jet. The jets, which are to be inducted into the Pakistan Air Force (PAF) by April 2017, will enhance training value and operational capability. Note : The latest models reportedly have an enhanced electronic warfare capability. Eight satellite-monitored 'laser walls' have been activated along the India-Pakistan International Border in Punjab, to guard areas where barbed wire fencing cannot be installed. The BSF took the decision to install the infra-red and laser beam intrusion detection system two years ago. The Indian Space Research Organisation (ISRO) today (28th April 2016) launched a PSLV rocket carrying the IRNSS-1G navigation satellite. The launch, which took place at Sriharikota Spaceport, Andhra Pradesh, completes deployment of the first-generation IRNSS constellation, giving India a fully-operational regional navigation system.This is the seventh and last satellite of Indian Regional Navigation Satellite System (IRNSS) constellation. Today (27th April 2016) is International Guide Dogs Day. President Pranab Mukherjee embarks on a 5 day state visit to Papua New Guinea and New Zealand from 28th April to 2nd May. This is the first ever state visit of the President of India to Papua New Guinea and New Zealand which is expected to open a new era in bilateral relations of india with these countries. The five day visit is aimed at energising and upgrading bilateral relations. The Cabinet of Saudi Arabia kingdom has approved the Vision 2030, a broad-based economic reform plan. The Vision charts out the roadmap for diversifying the Saudi economy in next 14 years and to ensure that Saudi Arabia can live without oil by 2020. The International Day of Human Space Flight is observed on ? A Soviet Union (USSR) cosmonaut undertook first successful human space flight on 12th April 1961. Who is he ? Which country has topped the Global Connectivity Index 2016 ? 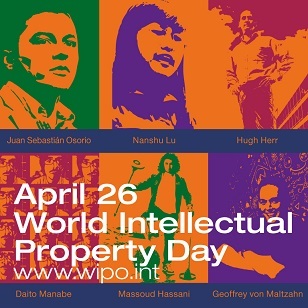 Today (26th April) is World Intellectual Property Day. The event was established by the World Intellectual Property Organization (WIPO) in 2000 to "raise awareness of how patents, copyright, trademarks and designs impact on daily life" and "to celebrate creativity, and the contribution made by creators and innovators to the development of societies across the globe". 26 April was chosen as the date to celebrate this day because it coincides with the date on which the Convention Establishing the World Intellectual Property Organization entered into force in 1970. Theme of 2016 – Digital Creativity: Culture Reimagined. In the first bilateral meeting since the Pathankot attack, Indian Foreign Secretary S Jaishankar today met his Pakistani counterpart Aizaz Ahmed Chaudhary on the sidelines of the 'Heart of Asia' conference in Delhi. Pakistan’s High Commissioner to India Abdul Basit confirmed that “all outstanding issues, including the Jammu and Kashmir dispute” were discussed during the meeting. Japan is going to declassify two files relating to Netaji Subhas Chandra Bose by the end of this year. Topic 1 : "On going beyond 'Bommai'"
Which country has recently offered Sri Lanka 500 million Yuan (approximately Rs. 513 crore), to assist Sri Lanka in improving investment zones and speeding up the industrialization process ? A proposal titled "Venus Interior Probe Using In-situ Power and Propulsion", by an Indian-origin scientist, has been selected for NASA's Innovative Advanced Concepts programme. Name him ? US Defence Secretary has recently visited India. Name him ? who has became the Miss India World 2016 ? Today (25th April) is World Malaria Day. This day recognizes global efforts to control malaria. Globally, 3.3 billion people in 106 countries are at risk of malaria. Wolrd Malaria Day is one of eight official global public health campaigns currently marked by the World Health Organization (WHO). Topic 1 : "Reasons and excuses for violence"
Recently, the Gujarat Chief Minister Anandiben Patel officially launched the state-wide implementation of National Food Security Act, which has been renamed as ? A post-apocalyptic role-playing game was adjudged the Best Game of the Year at 2016 British Academy Games Awards. Name it ? The Stockholm International Peace Research Institute (SIPRI) has ranked India ____th in its biggest military spenders list for 2015. Today is World Day for Laboratory Animals. Today is Pinhole Photography day. Nepal has observed the first anniversary of the 7.8 magnitude earthquake that claimed the lives of around 9,000 people last year. Several people gathered at the Durbar Square in Nepal's capital Kathmandu and released around 9,000 balloons, the same number as the earthquake victims, to remember them. The balloons were released at the exact time the earthquake had struck. US Air Force (USAF) invites the Indian Air Force to take part in the Air Exercise, “Ex-Red Flag-16-1” which is scheduled from 28th April 2016 to 13th May 2016 at Eielson AFB Alaska. The Exercise Red Flag is a multinational air exercise, originally conceived in 1975 by USAF to provide operational exposure and mutual exchange of Op capability of friendly Air Forces. US President Barack Obama is on a visit to Hanover, Germany today. During this visit, he will hold talks with German Chancellor Angela Merkel, one of his closest allies. Topic 1 : "Rollback redux"
World Book Day or World Book and Copyright Day is being observed today. This day is organized by the United Nations Educational, Scientific and Cultural Organization (UNESCO), to promote reading, publishing and copyright. The first World Book Day was celebrated on 23 April 1995. The World Health Day, a global health awareness day, is observed on ? What is the theme of World Health Day 2016 ? A 33 year-old has became the first transgender person to contest in Tamil Nadu's assembly elections. Name her ? Odisha Government has recently launched a project to provide modern schools facilities on the lines of Kendriya Vidyalayas in the underdeveloped rural areas of the state. Name it ? 46th International Earth Day is being observed today. The world's first ever Earth Day was celebrated on 22nd April 22 1970, in the United States of America to increase public awareness about environmental problems. It was founded by United States Senator Gaylord Nelson. The aim of the day is to bring attention to environmental issues to spark changes that will result in a healthy, sustainable environment. Topic 1 : "Of populism and prohibition"
Hi, I am PAVAN KUMAR. I am a silent follower of Gr8AmbitionZ. I want to share my Karnataka Bank Interview experience with you all aspirants. I did MCA. The TIME Magazine has released the 'List of 100 most influential people in the World'. This list featured Six Indians including RBI Governor Raghuram Rajan and Bollywood Actress Priyanka Chopra. (Note : The Indian actress has also appeared on the cover of the TIME magazine). Tennis ace Sania Mirza, environmentalist Sunita Narain along with Flipkart Co-founders Sachin and Binny Bansal were other Indians on the list. The list also featured Indian-origin Google CEO Sundar Pichai. China’s mainland population reached 1.373 billion at the beginning of November, up 33.77 million since the last census was held in 2010. Note : China’s population is set to peak at about 1.45 billion by 2050 when one in every three is expected to be more than 60, with a shrinking proportion of working adults to support them. The President, who will also travel to Singapore on the same visit is expected to be in China in May last week, and will travel to Beijing and the South Eastern Chinese business hub of Guangzhou, also known for its Buddhist connection to India. Europe has become the world’s first region to wipe out Malaria, a mosquito-borne vetor disease with zero cases reported in the year 2015. It was revealed by the World Health Organization (WHO) in its World Malaria Report 2015. Particular region or country is declared Malaria free by WHO after it has zero locally acquired malaria cases for at least three consecutive years. Topic 1 : "Grounding Vijay Mallya"
India has jumped three places to rank 133 out of 180 countries in the 2016 World Press Freedom Index released by Reporters Without Borders. Finland has ranked first for the sixth consecutive year, and is followed by Netherlands and Norway. Among India's neighbours, Bangladesh has ranked 144, Pakistan has ranked 147 and China has ranked 176. 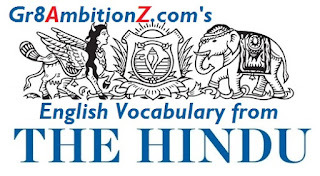 Friends, the State Bank of India (SBI) has decided to revise the list official Regional Languages of some states and also extended the last date of SBI Clerks Online Registration of applications. Earlier, the bank has stated that the last date for applying online is 25th April 2016. Today, in a recently released notification the bank has announced that the last date has been extended upto 28th April 2016. Topic 1 : "Country without a pause"
Panama's President Juan Carlos Varela has announced that the country will adopt international tax reporting standards by 2018. He also said an expert committee will be set up in six months to improve transparency. During the 2016 Rio Olympics, Prime Minister Narendra Modi is set to promote the ‘Make in India initiative’. The Indian Embassy in Rio will host several cultural exhibitions to highlight the country’s progress in self-sustenance. A kabaddi match, involving India’s best players, will also be showcased, in an attempt to push the sport towards Olympic legitimacy. The 14th meeting of the Foreign Ministers of the Russian Federation, the Republic of India and the People's Republic of China was held in Moscow, Russian Federation. Russian Foreign Minister Sergey Lavrov, Union Minister of Foreign Affairs of the Republic of India Sushma Swaraj, and Minister of Foreign Affairs of the People's Republic of China Wang Yi took part in the meeting. Note : The Ministers decided to hold the next trilateral meeting in India. Topic 1 : "Oceanic opportunities"
Inward-looking - not interested in or taking account of other people or groups. Hi Friends, I am Santosh Reddy Ganta. The main reason for writing this post is to bring awareness about Public sector Banks attached Manipal PG in Banking and Fnance course for its Probationary Officers. Why Banks are recruiting POs through this channel ? ? Banking sector has become too competitive these days and the ground level front-runners i.e junior scale officers have a larger role to play in its success. Banks are looking foward for a candidate well versed in banking and finance . It sounds like banks want tailor made material who are right on target from day 1. That's the reason for this selection. Today (18th April) is International Day for Monuments and Sites. This day also commonly known as World Heritage Day. This day was established by UNESCO in the year 1983. The main aim of this day is to to raise public awareness about the diversity and vulnerability of the world’s built monuments and heritage sites and the efforts required to protect and conserve them. A ban has been imposed with immediate effect on the use of animals in tests for manufacturing soaps and detergents, animal rights group PETA announced today. Hi Friends, I am Ramesh. I have attended Karnataka Bank Scale I officer interview on 16th April at 8:30 am. If anybody thinking to attend interview on 22 and 23 April no need to be worried too much. 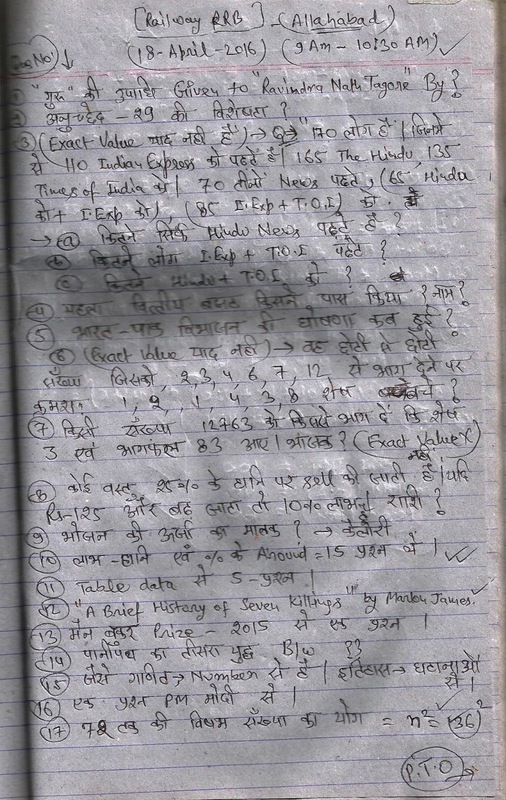 Here is the detail what happened in the interview. Today (17th April) is World Hemophilia Day. This day aims at raising awareness about haemophilia and other inherited bleeding disorders. Haemophilia - a ​rare ​blood ​disease in which ​blood ​continues to ​flow after a ​cut or other ​injury because one of the ​substances which ​causes it to ​clot does not ​work ​correctly. French President Francois Hollande has announced €100 million in aid for Lebanon over the next three years as it currently hosts over a million Syrian refugees. On the first leg of her Two Nation - Three Day visit, External Affairs Minister Sushma Swaraj reached Iran. She and her Iranian counterpart Mohammad Javad Zarif held delegation level talks to review bilateral relations. The focus of the talk was to increase Indian investment in energy, ports, and connectivity in Iran. Note : India has already lined up a $20 billion investment in Iran's oil and gas and petrochemical and fertiliser sectors. India has decided to allow People belonging to minority communities of Pakistan, staying in India on a Long Term Visa, to buy property, open bank accounts and get PAN and Aadhaar cards. Defence Minister Manohar Parrikar is on his first official visit to China. During the visit, Mr Parrikar will hold talks with the country's top political and defence leaders. 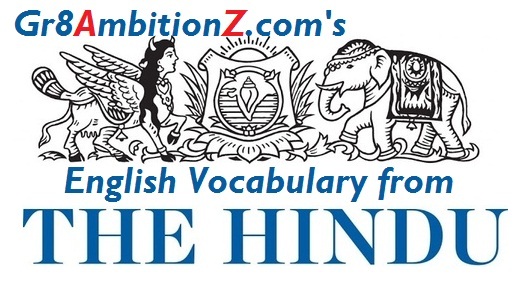 I am sharing vocabulary from Indian Express editorial dated 16/04/2016. Correct me if I got wrong somewhere. My name is Ravi Babu Gupta from Allahabad, UP. I am sharing few questions which I remember and faced today at Allahabad centre. 1) around 3 questn from Alpha betical rearrangement. 2) 2 questn from simplification e.g.- (+,-,*,/) symbols ko correctly place karke right Answer?